31 years, 3 months, 27 days old age. Toral Rasputra will turn 32 on 26 December, 2019. Only 8 months, 3 days, 18 hours, 8 minutes has left for her next birthday. Toral Rasputra has celebrated the total number of 31 birthdays till date. See the analysis by days count and bar graph. 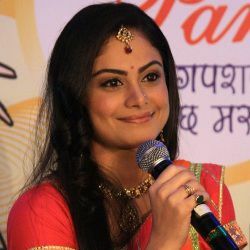 Toral Rasputra, the famous Anandi of Colours TV, was born on 26-12-1987 in Mumbai, India. She is a famous TV star, who has done some promising roles in the daily soaps of Indian Television. The beautiful Indian Television actress, Toral Rasputra started her career on the silver screen in 2007 with the serial Dhoom Machao Dhoom. She came into limelight with her powerful performance in the serial Balika Vadhu as Anandi Shivraj Shekhar. The actress became a quite popular face after her role in the show, which lasted for three long years. In fact, she was being called Anandi by everyone. During this period, her career soared heights and she has even hosted many popular award shows. Apart from Balika Vadhi, the actress has also played varied roles in shows and serials like Jhalak Dhikhla Ja, Yahan ke Hum Sikander, Comedy Nights Bachao, Comedy Nights Live and Sasural Simar Ka. She has a younger sister named Indira Rasputra. She was married to a businessman Dhaval in 2012 and divorced in 2018. She belongs to a Gujarati family. She has kept her personal life private. In 2017, she also acted as a Meera in a theatre play named "I Love You Two".